Should I agree to give a recorded statement to the insurance company for the negligent driver? You may be caught off guard if the insurance adjuster for the driver who hit you contacts you soon after your crash inquiring about your health. He may sound truly interested in how you are feeling and in processing your claim quickly. Often the adjuster will ask you to give a recorded statement to help speed up paying your claim. However, you want to be wary of talking to the insurance adjuster at all and should never agree to give a recorded statement. Doing so could create a hurdle in your attempts to obtain the compensation you deserve and may delay the settlement of your claim. Why Does the Adjuster Want Your Recorded Statement? A recorded statement is a question and answer session between the adjuster and you where you answer questions about how the crash happened and your injuries. It is tape recorded, and a written record is created of your statement that can be used later in negotiating your settlement and at any court hearings. While the insurance adjuster may want your statement in part to compare to the one he probably obtained from his insured driver, he has other reasons for wanting your statement. The insurance adjuster’s job is to save money for the insurance company he works for. He does this by denying or reducing insurance claims—often legitimate ones. His overall goal is to get you to say something that hurts your case and that he can use to delay, deny, and reduce your claim. Are You Required to Give a Recorded Statement? The insurance adjuster may tell you or at least imply that you are required to give a recorded statement in order for your claim to be paid. This is untrue. You are not required to give a recorded statement, and your refusal to do so does not affect your right to compensation for your injuries. In fact, it could be disastrous to your case to agree to this. Saying inconsistent statements. The insurance adjuster will try to trick you into saying inconsistent statements. In addition, he will compare your recorded statement to what you said to the police officer and any other future statements you give. If you say anything inconsistent, he will try to use it to discredit your claim. Getting tripped up by trick statements. Insurance adjusters are trained to ask confusing questions designed to get you to say something that they can twist into you admitting fault or that your injuries are not too serious. The danger of these questions is that you may not realize that your answer hurts your claim. Giving incomplete answers. No matter how hard you try, you could forget important details or not give a sufficient answer. The insurance company will twist this to use against you in negotiations of your claim. Providing too much information. You may provide unnecessary information because you feel you have nothing to hide. For example, if you had a pre-existing injury to the same body part injured in the crash, you know that the past injury has nothing to do with what you are experiencing now. However, the adjuster will try to claim that the prior injury caused your current one. There are many other pitfalls to giving too detailed answers. Giving incorrect information regarding your injuries. A recorded statement is taken soon after the accident. At that point, you do not know the extent of your injuries or your long-term prognosis. If you answer questions about your injuries or treatments, you could suggest the seriousness of your condition is different than it really is. 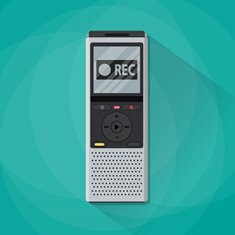 What Should You Do If You’re Asked to Give a Recorded Statement? If an adjuster contacts you for a recorded statement—or for any other reason—you want the help of an experienced car accident attorney who can take over communications with the insurance adjuster and negotiate a fair settlement for you. Call our office at 855.947.0707 to schedule your free case evaluation. Should I report my auto crash to my insurance company? If you were hurt in a car wreck caused by someone else, you may be reluctant to report your accident to your own insurance company or to make a claim. You could be worried your insurance rates would go up or you may think that a claim is unnecessary because the negligent driver is responsible for compensating you. However, it rarely is a good idea not to report your accident to your own insurance company. In fact, you could be reducing your overall settlement. Even if you believe the other driver was at fault, his insurance company may dispute this or other aspects of your claim. This could result in a lengthy negotiation process before you are paid. You will need authorization for repairs from your insurance company to be reimbursed for these costs. Your insurance contract could have a requirement that you report any accident you are involved in. If you fail to comply, you would be in breach of your contract. The other driver may not have insurance or sufficient coverage to compensate you fully. In these situations, you may need to look to your own policy for compensation. Your insurance contract may have a provision requiring you to report your accident within a certain time period to be entitled to insurance benefits. You do not want to miss this reporting deadline as you could be depriving yourself of the benefits you need and are entitled to. If the other driver is uninsured or underinsured, you may need to file a claim for benefits under your uninsured or underinsured motorist coverage. If your insurance contract is like most policies, you are required to cooperate with your insurance company’s investigation of your claim in order to receive benefits. This can include providing the adjuster with the contact information for witnesses and your medical provider and a brief statement about the crash. You may also need to allow them to inspect the damage to your vehicle and pictures you may have taken. Contacting the insurance company too soon. While you have a duty to report your crash, your first priority should be to obtain necessary medical care. It is also a good idea to wait until the shock of the crash has worn off and you are thinking more clearly to call your insurance company. Admitting fault. Do not admit fault even if you think you were. These statements could be used against you later. In addition, you could be wrong or the other driver could have been equally or more responsible for the crash. Downplaying your injuries. Do not tell the adjuster that you were not injured or were not hurt seriously. The fact is that the symptoms associated with some injuries may not develop for weeks or longer. You may not know your true prognosis until months after you start receiving treatment. Don’t give the adjuster ammunition to deny or reduce your claim by talking about your injuries in any detail. Guessing answers. Do not guess the answers to the adjuster’s questions. If you guess on important points regarding the crash, your answers could later be twisted or used against you to reduce your claim. Accepting a settlement offer. 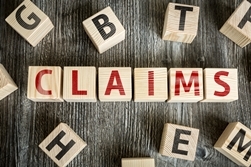 Most initial settlement offers made by adjusters are less than what the claim is worth. Do not accept any settlement offer until you consult with an experienced car crash attorney. Unless you are only making a small claim for repairs to your vehicle, you should contact an attorney for advice on your claim and to be certain that you receive the compensation you are entitled to. 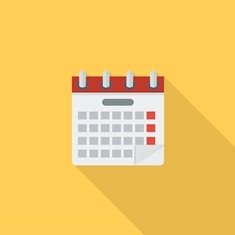 Start an online chat schedule your free, no-obligation consultation. What is a structured settlement and how does would it work in my car crash claim? Most car accident victims settle their claims with the negligent driver’s insurance company through the payment of a lump sum settlement. This means that they receive their compensation in one large payment. However, in certain situations, an accident victim may decide to accept their payments in a structured settlement. This is a settlement of a claim where the victim receives the amount of compensation in payments over years or his lifetime. Often, the first payment made is substantially larger than future ones. Here, we discuss how these settlements work so you can decide which one is right for you. A structured settlement can be beneficial if you suffered a catastrophic injury or you feel receiving payments over time will help you use the money more wisely. Once you enter into a structured settlement, the insurance company will typically purchase an annuity insurance policy or another type of structured settlement life insurance policy that will pay you the agreed upon payments over time. You want to be certain that the insurance company used is highly rated so you are not risking it going out of business. An experienced car accident attorney can discuss your circumstances with you and help you decide whether a structured settlement is in your best interests. Start an online chat today to schedule a free consultation to learn about your legal options. 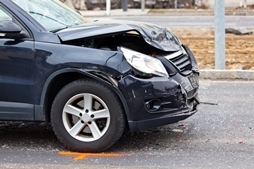 What are the risks of filing a claim as an auto accident passenger? Many passengers involved in car accidents hesitate before filing a lawsuit against a loved one who was driving at the time of the crash. Others may fear losing a lawsuit against the driver of the other vehicle, and may choose not to request legal assistance to avoid further financial losses. With the assistance of an attorney, these individuals may be able to recover the costs of medical care and other damages without taking any financial risks. The fear of losing money or destroying a valued relationship, however, may unnecessarily prevent victims from receiving the compensation they deserve for their injuries. What If I Don’t Feel Comfortable Suing a Loved One? For many, the threat of damaging a close relationship may seem worse than bearing the financial burden of car accident injuries. This is likely, in part, due to the malicious-sounding legal terms, such as “dispute” and “settlement.” However, in personal injury cases involving motor vehicles, it is often the insurance company that the plaintiff will deal with the most. If you are considering seeking compensation for your injuries, chances are high that your loved one won’t be involved in the courtroom defense at all. Moreover, the final settlement costs will generally be covered by the insurance agency after an agreement or a ruling is reached. In fact, when the process is fully understood, relatives and friends will likely encourage you to file these claims to spare you the financial burden of covering your out-of-pocket medical costs. Car accident passengers may experience significant physical pain and mental anguish after an accident. Victims are also likely to face exorbitant medical bills that cut into savings—or bills that the victim simply cannot cover alone. In the event of a wrongful death, family members and the deceased individual’s next-of-kin may also file a claim on behalf of their loved one. What If Both Parties Were at Fault? If both drivers are found to be partially at fault in an accident, a passenger may seek compensation from each driver to cover the costs of medical attention and other losses. For instance, a driver who is found to be 10 percent at fault will often be required to cover 10 percent of the amount of your claim as the passenger. The driver who is 90 percent at fault will be required to cover the remaining amount. Is it Worth the Risk to Hire an Attorney? Our firm only charges attorney fees when clients are awarded compensation for their injuries or property damage. When you schedule your free consultation, you have nothing to lose. If you have been the victim of a car accident in which someone else was in control of the vehicle, you may feel guilty for pursuing a lawsuit against your friend or relative. You may also feel intimidated by the idea of bringing a lawsuit against another driver—as well as the associated insurance companies. An attorney can help you navigate the complexities of personal injury matters with careful consideration for the fragile relationships that may be at risk during trial. The firm can also strengthen the potential of your case by standing beside you in the presence of corporate insurance representatives. To seek the compensation you deserve and avoid the stress of pursuing your personal injury claim alone, contact the firm today. You can learn more about the firm’s recent success stories by visiting our results page. Can I Use Alternate Dispute Resolution to Resolve My Personal Injury Case? Is it safe to drive and ride in a car while pregnant? Taking great care in all aspects of life during pregnancy is important, but especially when it comes to traveling. In 2014, the Canadian Medical Association Journal (CMAJ) found in a limited study that driving during the second trimester increases the risk of a car accident by 42%. However, even for pregnant passengers, car accidents can result in devastation. Pregnant women who’ve been in car accidents require careful immediate examination and ongoing observation to watch for any symptoms of complications, such as miscarriage or premature birth. It’s important to understand how car accidents can affect both fetus and mother, as well as what to do if you or a loved one suffered accident injuries while pregnant. Rear-end, head-on, T-bone, and sideswipe collisions, bad weather, faulty turn accidents, and more—can all involve minor to violent jostling motions that pose serious risks for the pregnancy. Even if the baby bump does not experience any direct trauma, car accidents can still cause injury to both mother and baby. The following are the most common ways car accidents negatively affect pregnancy. Premature birth. Since a typical pregnancy lasts 40 weeks, any baby born 37 weeks or before is considered premature. Premature babies born near the seventh month mark may be able to stay warm and develop safely, but parents of babies born near the sixth month mark may face difficult healthcare decisions and lifelong sicknesses. Miscarriage or stillbirth. When a baby perishes inside the womb before week 20, a miscarriage occurs. Any baby lost after week 20 is a stillbirth. In both cases, the baby dies and is usually expelled from the mother. Birth defects. During a car accident, a baby in the womb may experience trauma resulting in brain or bodily injury. In the long run, the baby may even suffer disability—such as mental, learning, or developmental abnormalities. Placental abruption. Common in car accidents, placental abruption occurs when the placenta detaches from the mother’s womb and can be life-threatening for both the fetus and mother. In addition, car accidents threaten a mother and her unborn child due to seat belts. Since safety belts are designed with non-pregnant bodies in mind—to lie across the chest and low lap—it’s important to consider safer methods of wearing a seat belt while riding in or driving a vehicle in order to protect you and your child. Car accidents can be devastating—and if you or your baby sustained injuries resulting in damages, you need the help of an attorney. At Kennedy Hodges, LLP, we offer experience and skill, but we also promise to handle your case with care and commitment. To ask questions, or to get started on your case, call 855-947-0707 today. What damages can I claim when my child is involved in a Texas car crash? You hope it never happens, but sometimes a car crash with your child in the car is unavoidable. If your child is injured in an accident, the damages that you can claim will depend on several factors, including whether the accident occurred due to the other driver’s negligent actions. In Texas, and most other states, parents are required to supply children with safety equipment that is not necessary for adults. 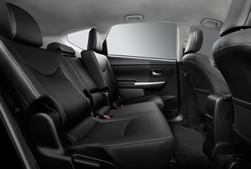 Texas law requires that young children between 20-22 pounds or younger than 1 year of age must be secured in rear-facing seats. As children grow out of these seats, they must be placed in forward-facing seats with five-point harnesses until they weigh 40-65 pounds. A booster seat must then be used until a child is eight years old or reaches a height of 4’9,” after which adult safety belts are required. 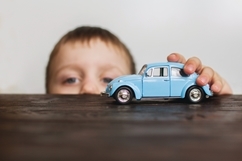 Parents who do not adequately secure their children prior to a car crash may not be eligible for full compensation due to the increased risks for costly injuries. Parents may also make claims for medical bills that were paid for the child’s care, as well as damages for their own injuries. If your child has been involved in a car accident our firm may be able to help you get the most out of your claim. To learn more about your legal rights, schedule a consultation today. How long do I have to file my car accident case in Washington, D.C.? When you have injuries, burial costs, or property damage from a car accident, you may want a quick settlement to help cover these expenses. However, the emotional and physical trauma that these events cause may be overwhelming to some victims, causing them to wait to file a claim. While patience can be beneficial during the negotiation phase of a personal injury claim, waiting too long to file the claim after your accident may cause you to lose the right to seek compensation. In the District of Columbia, car accident victims have three years from the time of the crash to file personal injury or personal property claims. 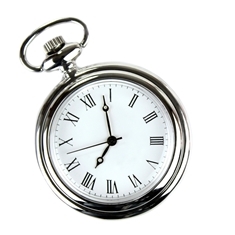 Failing to file a suit within the allocated timeframe enables the other party to request a dismissal from the court. If the dismissal is granted, your case will be dropped and you become responsible for the expenses related to the accident. Establishing Fault in Washington, D.C. In the District of Columbia, drivers may only receive compensation if the other driver is found to be completely at fault for the accident. Just one percent fault can cause you to lose your claim. For this reason, it is best that you do not admit fault or discuss the details of the accident with the other driver, bystanders, or the insurance company. If you believe that you are at least one percent at fault, you may also seek compensation from your own insurance company under no-fault insurance. No-fault insurance typically covers the costs of lost wages and the medical treatment you received for your injuries. However, no-fault insurance does not provide compensation for pain and suffering and, once you file a no-fault insurance claim, you typically forfeit your ability to file a claim against the other motorist. Choosing this route—though less risky—may significantly affect the value of your claim. If you’ve been involved in an accident with a commercial truck, you may also be able to file a claim against manufacturers, the driver’s employer, and other parties who may have acted negligently. While the statute of limitations requires personal injury victims to file a claim within three years, family members and next of kin to wrongful death victims have only two years to seek compensation for their losses. This timeline begins the day of the victim’s death. Car accidents can be emotionally and financially draining. Contact our firm to work with an experienced Washington, D.C. attorney who is familiar with local laws and can help you receive the most compensation for your injuries and losses. Can I still recover damages if I was partially at fault for a car accident in Washington, DC? Facing medical bills after a car accident is undoubtedly stressful, especially if your income has also been reduced because you’ve been unable to work during your recovery. Worse yet, if your accident occurred in Washington, DC, you are not eligible to recover damages if you are found to have any responsibility at all for the accident. Here is what you need to know about contributory negligence and how affects your accident recovery in the District of Columbia. Most states use a comparative negligence approach to determine who is responsible for the damages resulting from a car accident. Comparative negligence recognizes that some behaviors are more serious than others. For example, a drunk driver would likely be found more at fault for causing an accident than a driver who was simply going a few miles over the speed limit. Under the comparative negligence rule, the driver who is found to have a higher percentage of fault pays the other driver’s expenses. States that use the comparative negligence approach to assessing financial responsibility for a car accident have two methods of awarding damages. Modified comparative negligence, the most commonly used method, awards damages only if the plaintiff is found to be less than 50 percent at fault for the resulting injuries. Pure comparative negligence reduces the plaintiff’s damages by his percent of responsibility for the accident. The key principle behind pure contributory negligence is that drivers have a duty to prevent exposing themselves to unreasonable risks. They are generally barred from recovering for their injuries and property damage if they contributed to the accident in any way. Unfortunately, Washington, DC is one of only a few places in the nation that still uses the pure contributory negligence rule when awarding damages. This means that if you are in a serious car accident and are found to be 1 percent at fault for the crash, you won’t be able to recover damages from the other driver who is 99 percent at fault. Even if you believe you may have played a role in causing your car accident in Washington, DC, it is definitely worth consulting an attorney to explore your options. While the pure contributory negligence rule makes it harder to win a case, keep in mind that the other driver’s legal team must prove that your negligent behavior actually played a role in the injuries you sustained in the accident. Additionally, you may still be eligible for compensation if you can prove that the other driver had the last clear chance to avoid the accident and failed to take action. To see if you may be eligible for compensation for current and future medical expenses, lost wages and potential earning losses, or pain and suffering, reach out to Kennedy Hodges, LLP by starting a live chat or completing our online contact form. When you’re involved in a car accident, the first thing many people think about is their safety and health. The next thought is usually how much the accident could cost them. Far too often, crash victims assume their insurance companies will compensate them for the costs associated with the crash, but unfortunately, that doesn’t often happen and victims are left with expensive bills that they are unfairly responsible for—even when they are involved in some of the most common types of car accidents. Medical bills. Perhaps the most expensive bills are those related to your health. Between exams, diagnostic testing, treatments, and medications, you could end up owing thousands of dollars for an accident that wasn’t even your fault. Additionally, you should also factor in the gas money and time needed to get you to all of your doctor appointments and treatments. Vehicle repairs. If you’re like most people, you can’t live without your vehicle, and after a car accident, you may have to spend thousands of dollars to get it up and running again. Time lost from work. When you’re too injured to work, you often miss out on the money you need in order to pay your bills and keep food on the table. 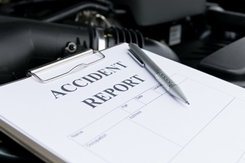 Depending on how severe your injuries are, you could lose months of pay because of the crash. In addition to what the accident will cost you now, you’ll also need to take what it will cost you in the future into consideration. The attorneys at Kennedy Hodges, LLP believe that victims should be compensated for their expenses and hardships related to accidents. Make an appointment to speak with an attorney by calling 855.947.0707 and find out how we may be able to help you. The truck driver. If you are hit by a truck that went through a red light or hit from behind by a truck, the truck driver may be to blame. This is particularly true if the driver was under the influence or distracted when the accident took place. However, you may be able to make a claim against the driver, in addition to additional parties if your attorney finds that more than just the driver could be to blame. Cargo companies. You’ve likely seen big trucks traveling down the road while carrying massive amounts of cargo. Often times, these pieces of cargo are unsafely loaded, whether it is because the people who loaded them didn’t follow proper protocol, or because the equipment they used to secure the cargo is unsafe. Whatever the reason, the cargo company may be to blame if falling cargo caused your accident, or if uneven cargo placement caused the truck to create an accident. The trucking company. Truck drivers are placed under lots of pressure to deliver their loads as quickly as possible. Oftentimes, truck drivers have to adhere to unreasonable schedules—and may engage in dangerous behavior in order to keep their jobs. For instance, some drivers may go without sleep for long periods of time in order to make it to their destinations. Truck manufacturers. No matter how safe a truck operator drives, he may not be able to prevent an accident from occurring if the rig he is driving malfunctions. 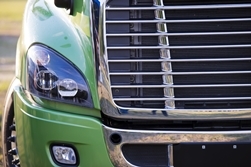 Faulty manufacturing can be to blame if the truck was defective or poorly designed. Additionally, if the truck was made with defective parts which were to blame for the accident, the truck manufacturer may be at fault. Finding the evidence you need to prove that the cargo company, truck manufacturer, trucking or cargo company, or even a truck driver is to blame is crucial in a truck accident case. Having a strong attorney on your side can help you get the compensation you’ll need, because the truck driver and his team will also have a strong legal front. Attempting to fight the insurance company on your own can be a losing battle. The truck driver’s attorneys may attempt to place the blame on you—even if it was clearly the driver’s fault. Additionally, if you try to fight against a major company, you will have an experienced legal team attacking your character, your driving history, and whatever it can to win the case. Are you prepared to fight that on your own? Do you know how to prove that faulty truck brakes or an improper trailer attachment caused your crash? The attorneys at Kennedy Hodges, LLP will do what it takes to gather evidence and conduct a thorough investigation. Schedule an appointment to speak with a legal professional about your situation by calling 855.947.0707 to learn more about how we may be able to get you the help you need to pay for your medical bills, vehicle repairs, and time lost from work.